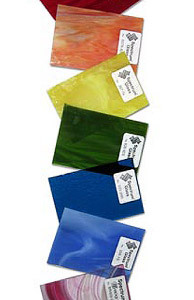 If you need stained glass supplies in Kamloops or beyond, High Country Stained Glass either has it or will find it. 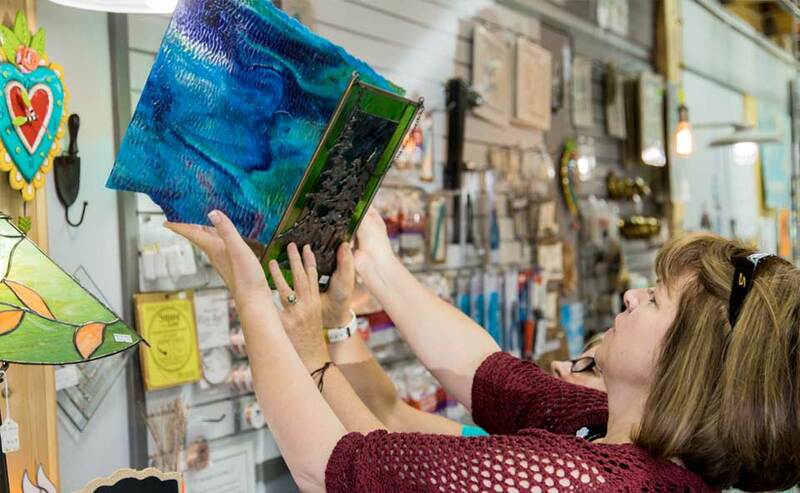 Whether you are looking for a soldering iron, glass crafting tools, fusing supplies, or just ideas we have it all! We seek to be your source for all of your glass projects. Come see our complete range of products at our store in Kamloops. Visit us today or shop online! We try everything and then recommend the best. Here are some tools and products that we use in our classes and carry in our store. 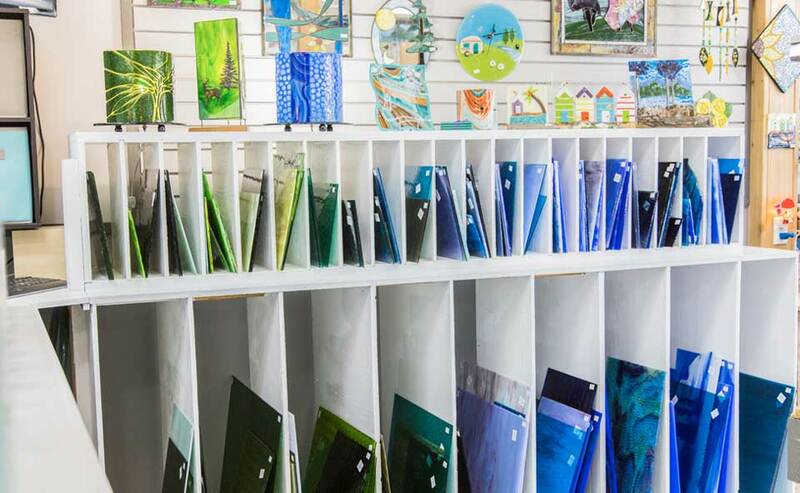 We carry many kinds of art glass for the Stained Glass crafter. We try to have a good stock of Spectrum Glass on hand. We carry a good selection of Kokomo Glass. Made the same way since 1888! 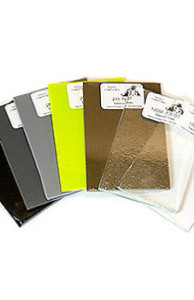 We carry a large supply of Wissmach Glass on hand. 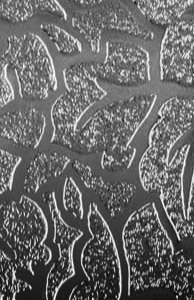 It’s similar to Kokomo Glass and easy to cut. Their beautiful colour mixes and textures are lower priced than Kokomo’s. They also make English Muffle glass, which we fully stock. 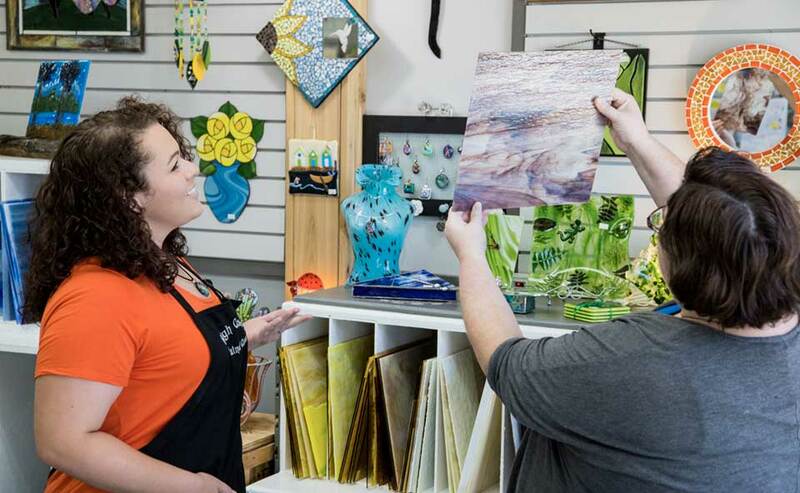 We have a limited selection of Uroboros, Youghiogheny, Bullseye and Oceana glass. Each sheet is handmade and a delight for artists of all levels! 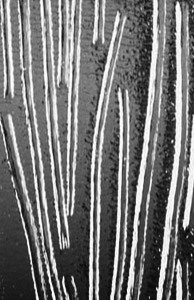 We have a huge supply of Architectural glass. Larger sizes are available for that giant project. System 96® is a collaboration of Spectrum Glass Uroboros Glass, Skutt Kilns and CBS (Coatings by Sandborn–Dichroic Glass). 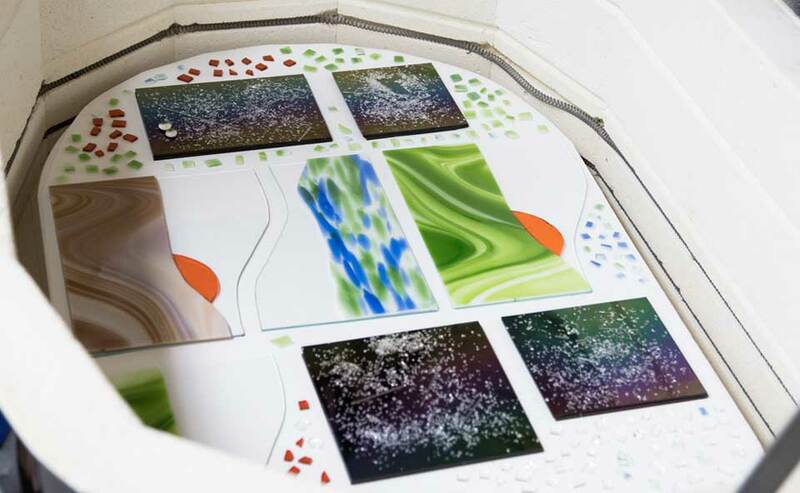 It is a reasonably priced, dependable glass fusing alternative. 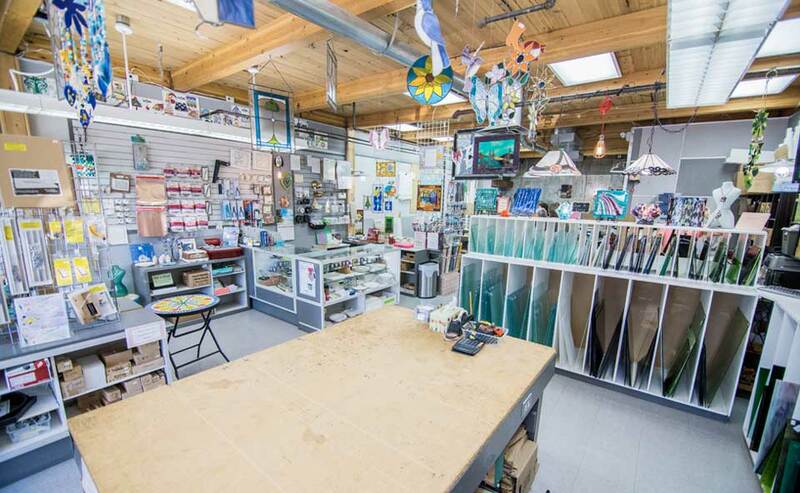 We carry most of their glass and fusing supplies on hand! We also now carry the full line of Wissmach 96 and a few choice pieces of Youghiogheny 96. We recommend Weller soldering irons. The best iron for perfect beads and even seams is the Weller 100 Watt Iron. Their large variety of interchangeable tips makes this iron foolproof! It has a 1-year warranty. Also CSA approved! They are the best value in our estimation. Toyo cutters are imported from Japan, where quality is most important. We always stock the ‘Comfort-grip’ in fluorescent colors so it’s easy to find! We’ve adapted an oak handle to fit our cutters, so it’s easier on your hands to cut. We also have their pistol grip and thumb grip cutting tools. 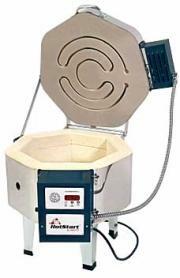 We carry most of Glastar’s line of grinders and tools in stock. 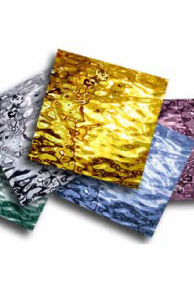 We carry Venture copper foil sized from 3/16” – 1/2" and in regular, silver-backed and black-backed. 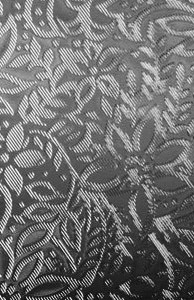 We also stock black-backed sheet foil. Sold in 12” x 12” size. We use Cascade Metals, which are manufactured in B.C.! We stock most of the popular sizes of lead and zinc (as well as some copper and brass). Anything else is easily available as a special order, even extra-long! We carry the full line of Morton Tools in stock! They are a Stained Glasser’s best friend! We can also offer help in using them. We love our Taurus 3 Ring saw! It cuts in any direction with ease! They have many specialty blades available now, so there’s no guessing whether or not ‘you can cut it’. CSA approved! Keep your supplies stocked up so you’re always ready to get started on the next masterpiece.